It was presented in the city of Santa Fe the first CSR (RSE by its Spanish Initials) program of the GeeksHive’s Community. 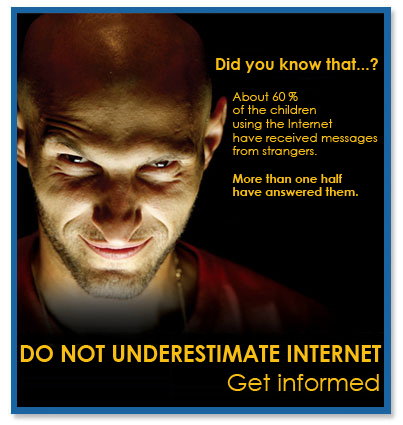 Good Parents on the Internet is an educational Program created to capacitate and make parents and teachers aware of the risks and dangers brought by a non-responsible use of Internet. 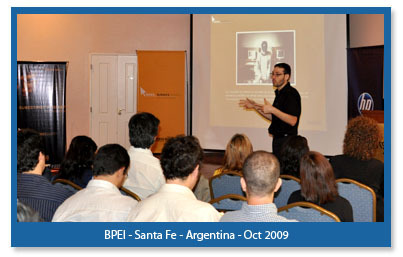 The project and work schedule -of high social contents and national impact- were entirely developed by GeeksHive International, with the collaboration and support of IAN SOFTWARE PATHFINDING, ITA INSTITUTO TECNOLÓGICO ARGENTINO (Argentinean Technological Institute) and Arkhé/vmn Corporate Consultant, with Hewlett Packard ( HP ) as Main Sponsor trademark. 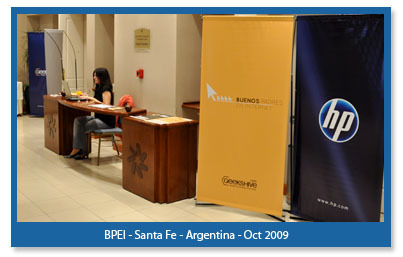 The meeting was performed at the convention hall of the Holiday Inn Hotel at the City of Santa Fe, occasion in which there were invited authorities of elementary schools and secondary schools of the region east-center region of Argentina. The presentation aimed at presenting the keys of a Program that attempts to install in the educational ambit and in the Argentinean homes a reflection on the impact of Internet in contemporary societies, mainly of the risks that involves the use of the Internet on behalf of minors without the guide or the advice of responsible adults. “We are witnessing a problem that could be synthesized in three interrelated aspects: a myth, a lack of knowledge and a responsibility. The myth is believing that a child is safer at his room navigating on the Internet than on the street; the lack of knowledge that leads adults to underestimate the positive or negative potential of the Internet and the responsibility that parents should assume in front of this phenomenon. It implies dedicating more time and interest to keep a link of narrow communication with their children and knowing how Internet works." -Indicated the Bachelor in Psychology Víctor Enrique Cáceres, Program Director and Founder Member of GeeksHive -. 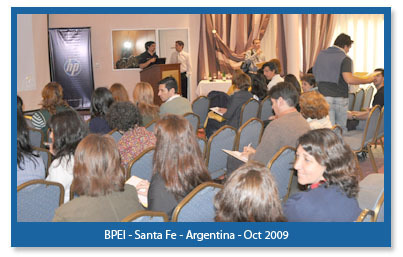 This event accomplished in Santa Fe, the first of four to be carried out in what is left of 2009 at different cities of Argentina, represents the first step of the Program. “The first step is talking to school directors about the Program in order that they assume with us the challenge of convoking teachers and parents at their own institutions. These Parent Meetings will be scheduled in a calendar of presentations that will be carried out from November 9th, 2009 up to the end of October, 2010. The Schools will be able to enroll and GeeksHive, through its certified Geeks, will offer the Educational Meetings and will bring the necessary graphic and technological material" -promised Sebastián Borrás, Director and Founder Member of the Community, and then added: “The Program is absolutely free. 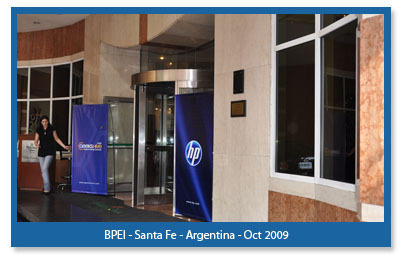 This was possible thanks to the support of the trademarks that support the initiative, mainly HP Argentina, Main Sponsor of all the activities carried out by the Community". The Educational Meetings will be instances of work and discussion on issues related with the responsible use of Internet, in charge of professionals integrants of GeeksHive International. They are aimed at parents, authorities and teachers of the educational community. Nowadays, the use of Internet is global/ massive and -for its contents- it comprises the pleasures and interests of all ages and social classes. The diversity and scarce control of the information published (texts, music, photos, videos, etc. ), every day more accessible and free of charge for anyone that has an Internet connection, make it necessary a reflection on the impact and risks associated to NON responsible use of this innovative communication means. Internet is a wonderful social and technological tool that is becoming more and more necessary and accepted. It is used by children, young people and adults of the whole planet. That way, gradually, it is becoming a priority to bring our children closer to the use of this huge net of information, whose purpose could be the permanent specialization of knowledge and the capitalization of cultural ways based in diversity and the amplitude of social ways. Anyway, it is significant to notice that the Internet world resembles the real world a lot: its deregulated use could expose us to serious dangers, similar to the ones of any dark and desolated street of the city. The undesirable circulating quantity of information (in most cases just at one click), the progressive isolation of real social bounds and the virtual contact with unknown people, give us more than one reason to believe that the relation of children with the Internet should be always mediated and guided by mindful and responsible adults, turns this phenomenon and its potential effects, one of the most complex and transcendent issues of the present time. In order to accomplish these meetings that analyze the impact of the Internet phenomenon, it has been selected a school institution as convener entity and organizer due to diverse reasons. Firstly, because schools are places that provide grounds for a spontaneous cultural and social segmentation allowing to approach age brackets according to characteristics and affinities. Secondly, since the biopsychosocial development of children and young people should always be thought in a social environment than enables or restrains learning, that holds or abandons, that facilitates or obstructs. In this respect, family and school are two cornerstone vehicles of interchanges and socializations. That way, we believe that these Institutions should shortly become engaged and critical broadcasters of these problems. By reason of the official launch of Good Parents of on the Internet, GeeksHive had already developed, at the cooperative buildings of IBM Argentina of the City of Buenos Aires, a great training on the topics proposed by the Program. "The idea was to select and train the Geeks that will have the mission of carrying on the Educational Meetings throughout Argentina" - explained Sebastián Monzón, Development Director of GeeksHive, in conversations with this editorial staff. After the presentation in Santa Fe, the Community expects to perform others, also destined to school Directors, at the cities of Buenos Aires and Neuquén. Simultaneously, five Educational Meetings at schools of the region will be carried out in schools of the center-east of Argentina and there will be another calendar of Meetings, in other regions of Argentina, before the end of 2009. 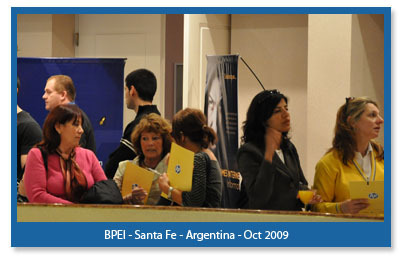 During 2010, Good Parents on the Internet will initiate the expansion to other localities of Argentina; it will be added to the effort the third stage designed for the Program: Extensive workshops at schools to deepen some aspects of the problems articulated in the course of the Educational Meetings. “We believe that a great part of the Argentinean society underestimates the dangers of the Internet. It is our desire to revert this tendency, we are happy having the chance to make it, we want to assume that great responsibility, we have to make it, this type of challenges shape the principles that inspire the sense of existing of our Community " – agreed GeeksHive’s Executives.